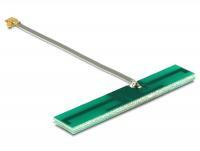 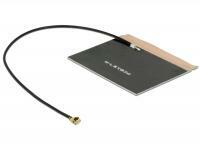 This LTE antenna can be installed indoors and can be used for reception of different LTE bands. 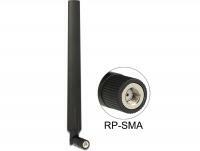 It is completely Bluetooth, UMTS, GSM, WLAN dual band and ZigBee compatible. 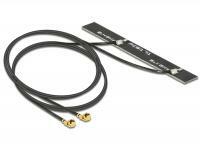 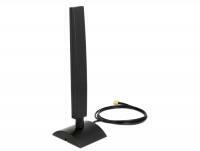 This active DAB + antenna is designed to receive digital broadcasting DIGITAL RADIO. 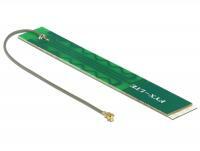 The integrated amplifier improved the reception signal. 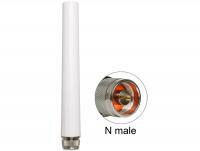 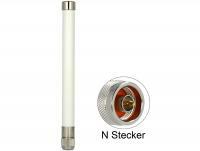 Description This LTE antenna can be installed indoors and outdoors and can be used for reception of different LTE bands. 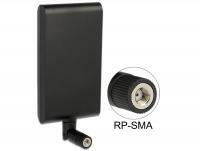 It is fully compatible to UMTS, GSM, Bluetooth, ZigBee, Z-Wave, DECT and WLAN 2.4 GHz. 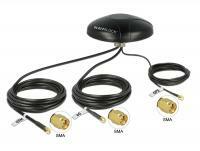 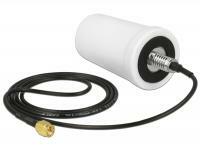 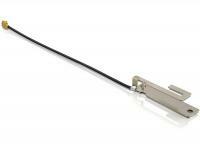 This antenna by Delock allows to use the TETRA BOS frequency range 380 - 410 MHz indoors and outdoors. 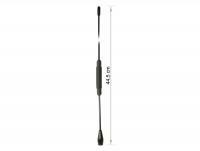 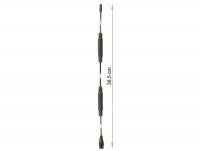 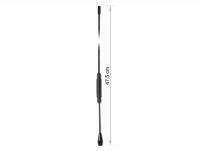 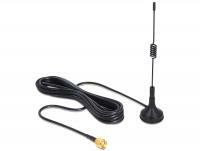 This antenna by Delock allows to use the TETRA frequency range 410 - 450 MHz indoors and outdoors. 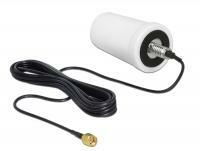 This antenna by Delock allows to use the TETRA frequency range 450 - 470 MHz indoors and outdoors. 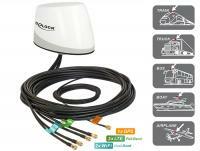 This LTE antenna by Delock can be installed outdoors or indoors and can take advantage of all four LTE bands. 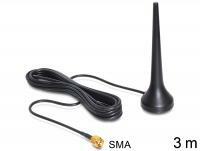 It is completely compatible to GSM, UMTS, Bluetooth, WLAN 2.4 GHz, ZigBee, DECT and Z-Wave. 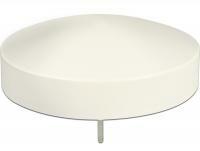 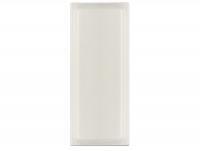 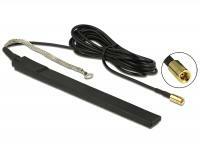 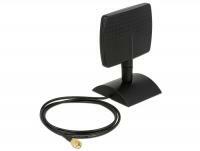 Description This Delock LTE antenna allows the use of different LTE bands indoors. 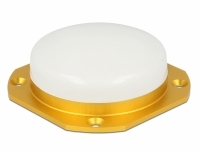 It is completely Bluetooth, GSM, UMTS, WLAN 2.4 GHz, Z-Wave and ZigBee compatible. 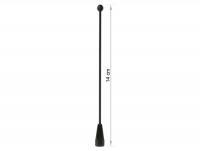 This WLAN/Bluetooth antenna can be connected to your device with MHF/U.FL interface, in order to receive and send signals. 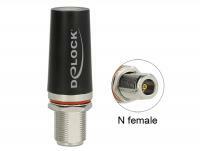 This Delock WLAN antenna can be integrated into devices with MHF IV/ HSC MXHP32 compatible connector. 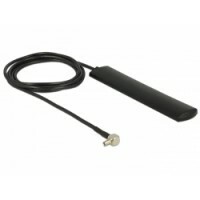 This WLAN/Bluetooth antenna you can integrate into your devices with MHF / U.FL compatible connection to receive and send signals. 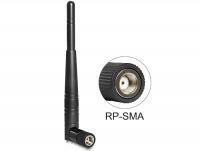 Description This WLAN antenna can be integrated into your devices with MHF IV/HSC MXHP32 compatible connector. 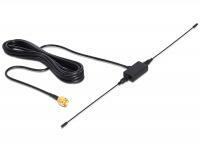 This antenna you can integrate into your devices with MHF / U.FL compatible connection to receive and send WLAN and Bluetooth signals. This WLAN antenna you can integrate into your devices with MHF / U.FL compatible connection to receive and send signals. 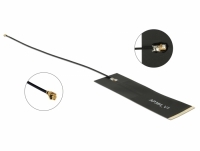 This WLAN antenna by Delock can be integrated into devices with MHF IV /HSC MXHP32 compatible connection to receive and send signals. 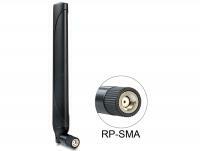 This Wireless LAN antenna can be connected to your device with RP-SMA interface, in order to send and receive signals. 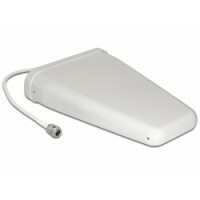 This waterproof Wireless LAN antenna can be connected to your WLAN device with SMA connector in order to receive a signal. 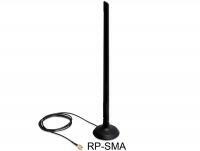 This WLAN antenna can be connected to a RP-SMA port, in order to receive or send signals. 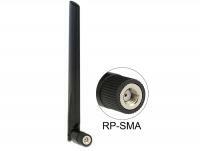 This Wireless LAN antenna can be connected to your device with RP-SMA interface, in order to send and receive signals. 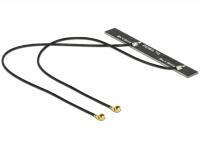 Due to the three tilt stages of the flexible antenna and the magnetic stand you can place the antenna individually. 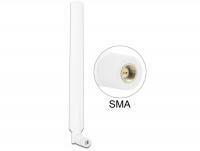 This GSM/UMTS/LTE antenna can be connected to your GSM/UMTS/LTE device with SMA connector in order to receive or to send a signal. 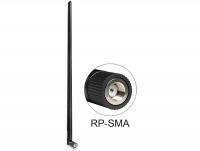 This GSM/UMTS/LTE antenna can be connected to your GSM/UMTS/LTE device with RP-SMA connector in order to receive or to send a signal. 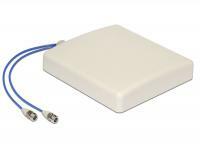 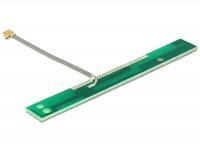 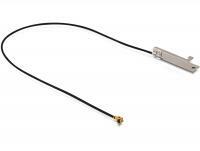 This UMTS/LTE antenna can be connected to your UMTS/LTE device with SMA connector in order to receive or to send a signal. This WLAN antenna can be connected to your WLAN device with RP-SMA connector in order to receive or to send a signal. 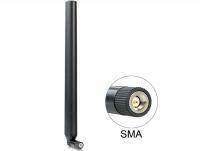 By the directivity of the antenna, you can improve your wireless supply. 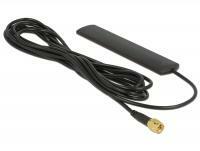 This Wireless LAN antenna can be connected to your device with N interface, in order to send and receive signals. 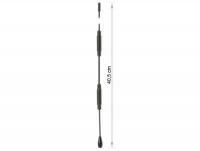 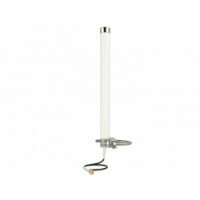 This GSM/UMTS/LTE antenna can be connected to your GSM/UMTS/LTE device with N connector in order to receive or to send a signal. 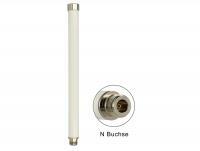 This WLAN antenna can be connected to your WLAN device with N connector in order to receive or to send a signal. 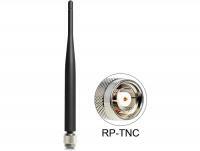 This Wireless LAN antenna can be connected to your device with RP-TNC interface, in order to send and receive signals. 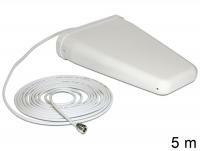 This LTE MIMO antenna can be installed indoors or outdoors and take advantage of all four bands for LTE. 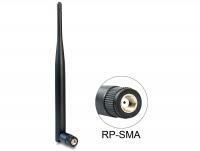 It is completely compatible to UMTS, GSM, Bluetooth, ZigBee and WLAN 2.4 GHz. 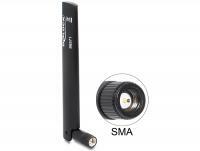 This LTE antenna can be connected to your LTE device with SMA connector in order to receive or to send a signal. 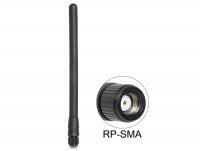 Use this antenna at 868 MHz ZigBee devices with RP-SMA connector. 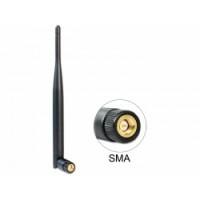 Use this antenna at 868 MHz ZigBee devices with SMA connector. Use this antenna with SMA connector devices to receive and transmit GSM signals. 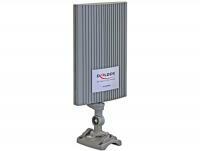 This LTE antenna can be installed indoors or outdoors and is suitable for all four bands of LTE. 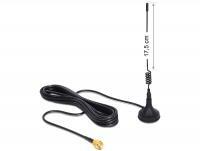 The antenna is fully compatible with GSM / UMTS / WLAN 2.4 GHz, ZigBee and Bluetooth. 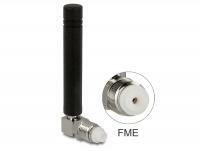 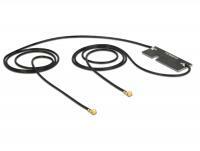 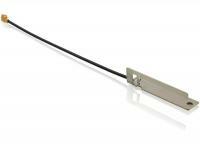 This GSM/LTE antenna can be connected to your GSM/LTE device with FME connector in order to receive or to send a signal. 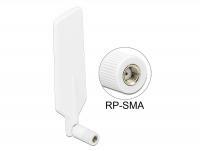 This GSM/LTE antenna can be connected to your GSM/LTE device with RP-SMA connector in order to receive or to send a signal. 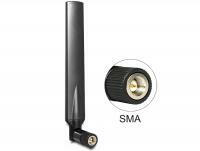 This GSM/UMTS/LTE antenna can be connected to a GSM/UMTS/LTE device with SMA interface, in order to receive and send signals. 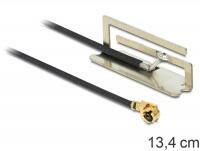 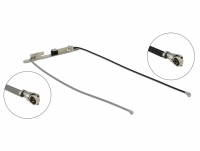 Due to the very small diameter of the SMA connector, it is very easy to operate on different routers. 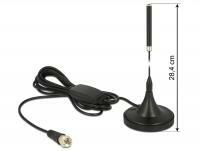 This WLAN antenna is used for transmitting and receiving signals in accordance with IEEE 802.11 ac/a/h/b/g/n. 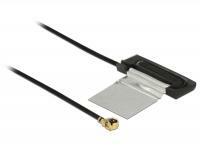 This LTE antenna can be installed indoors or outdoors and take advantage of all four bands for LTE. 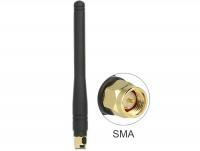 It is completely compatible to UMTS / GSM / Bluetooth / ZigBee / WLAN 2.4 GHz. 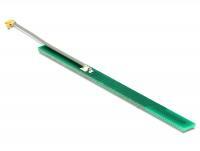 This WiFi / WLAN antenna is used for transmitting and receiving WiFi signals in accordance with IEEE 802.11 ac/a/h/b/g/n. 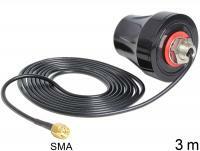 Use this antenna to devices with SMA connector to the ISM frequency band to receive and transmit 433 MHz signals. 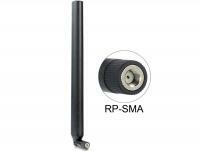 This wireless LAN antenna can be connected to your device with RP-SMA interface, in order to send and receive signals. With the help of the variable inclination of the antenna tilt and the magnetic base, you can position the antenna individually. Use this antenna to devices with SMA connector to the ISM frequency band to receive and transmit 433 MHz signals. 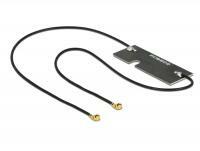 The flexible design makes this antenna resistant to impacts. 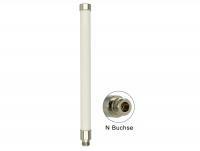 This LTE antenna can be installed indoors and outdoors and can be used for reception of different LTE bands. 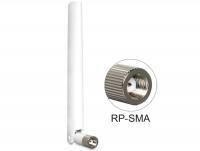 It is completely compatible to UMTS, GSM, Bluetooth, ZigBee and WiFi 2.4 GHz. 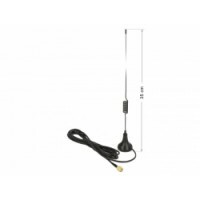 Description This Delock ISM 169 MHz antenna can be connected to a ISM 169 MHz device with SMA interface, in order to send and receive signals. 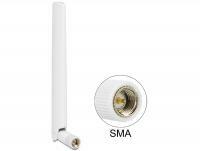 This Zigbee multi antenna can be connected to your device with SMA interface, in order to send and receive signals. 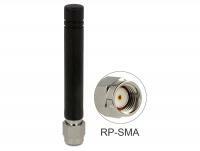 This Zigbee multi antenna can be connected to your device with RP-SMA interface, in order to send and receive signals. 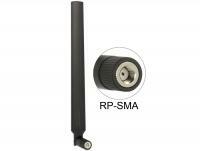 This LTE antenna can be installed indoors and can be used for reception of different LTE bands. 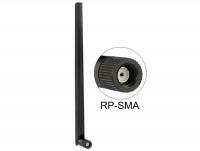 It is completely UMTS, GSM, Bluetooth and WLAN 2.4 GHz compatible. 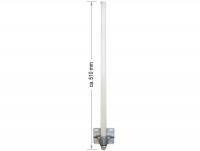 This LTE antenna can be installed indoors and can be used for reception of different LTE bands. 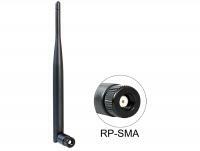 It is completely Bluetooth, UMTS, GSM, WLAN 2.4GHz and ZigBee compatible. 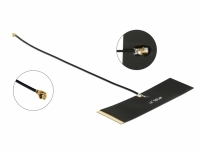 This LTE antenna you can integrate into your devices with MHF / U.FL compatible connection to receive and send signals. 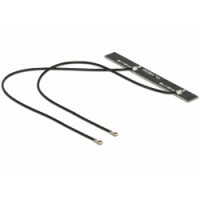 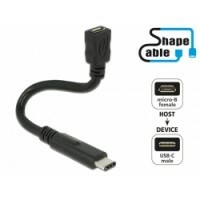 This twin WLAN antenna you can integrate into your devices with two MHF / U.FL compatible connections to receive and send signals. 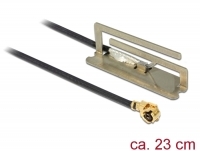 These are two separate antennas with common ground. 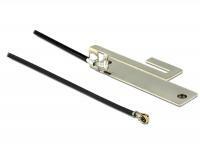 One is responsible for 2.4Ghz and the other is responsible for 5.xGHz. 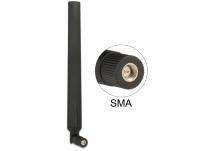 This GSM/UMTS antenna can be connected to your device with SMA interface, in order to send and receive signals. 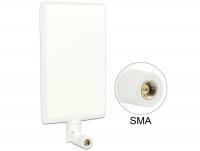 This LTE antenna can be installed indoors and can be used for reception of different LTE bands. 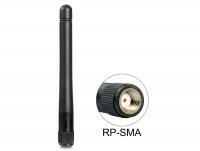 It is completely Bluetooth, UMTS, GSM, WLAN 2.4 GHz and ZigBee compatible. 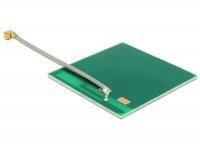 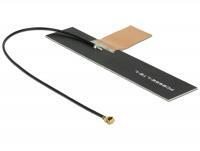 This LTE antenna you can integrate into your devices and can be used for reception of different LTE bands. 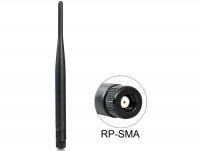 It is completely Bluetooth, UMTS, GSM, WLAN 2.4 GHz and ZigBee compatible. 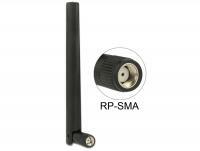 This WLAN antenna can be connected to your device with SMA or RP-SMA interface, in order to send and receive signals. 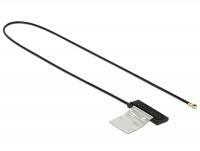 The assembly is preferably carried out in suspended ceilings. 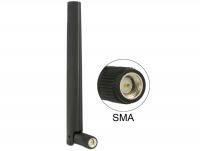 This WLAN antenna can be connected to an SMA port, in order to receive or send signals. 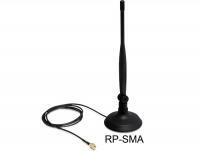 Description This WLAN antenna is designed to connect to devices with SMA interface, in order to send and receive WLAN dual band signals. 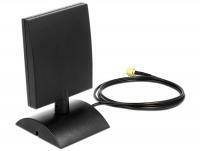 This Delock WLAN antenna can be installed outdoors or indoors and take advantage of all two bands for WLAN. 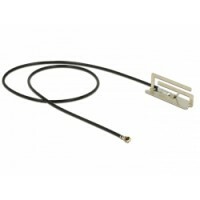 This WLAN twin antenna by Delock is designed to integrate into devices with two MHF / U.FL compatible connectors. 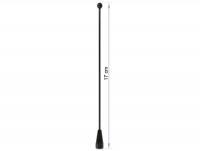 These are two separate antennas with common ground. 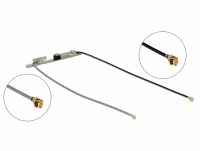 One is responsible for 2 GHz and the other is responsible for 5 GHz. 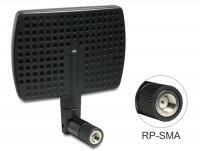 Description This WLAN twin antenna is designed to integrate into your devices with MHF IV connectors. These are two separate antennas with common ground. 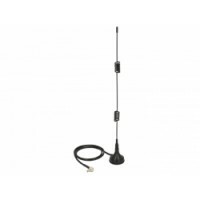 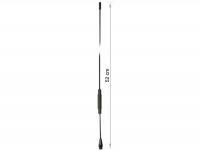 Description This Delock ISM 169 MHz antenna can be connected to a ISM 169 MHz device with RP-SMA interface, in order to send and receive signals.